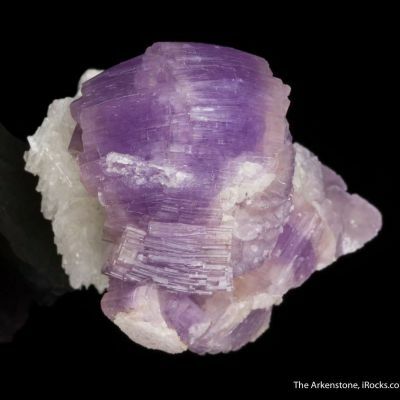 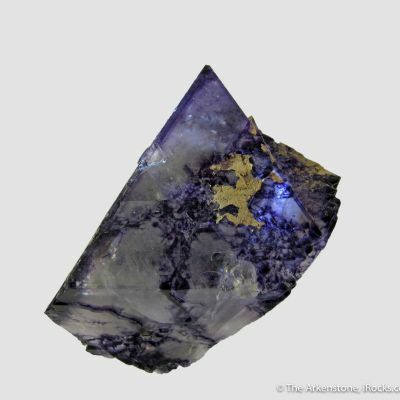 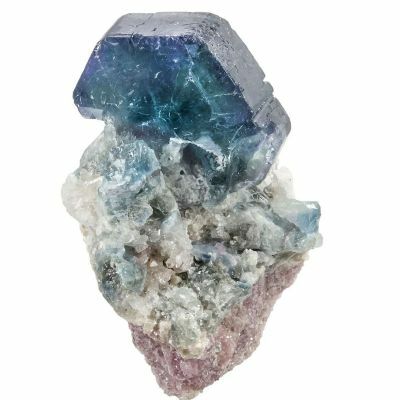 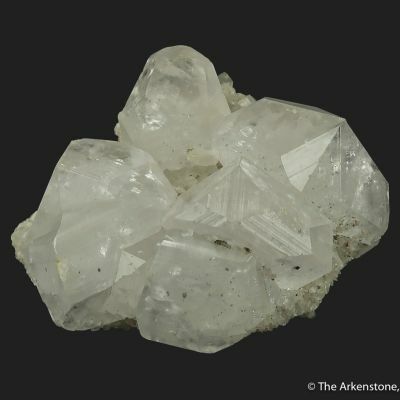 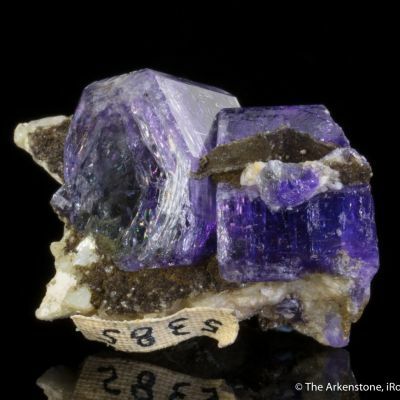 Complete all the way around, this Fluorapatite from the famous Medina locality is both lovely and elegant. 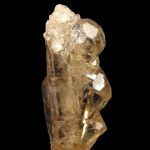 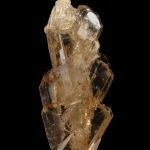 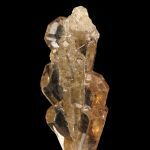 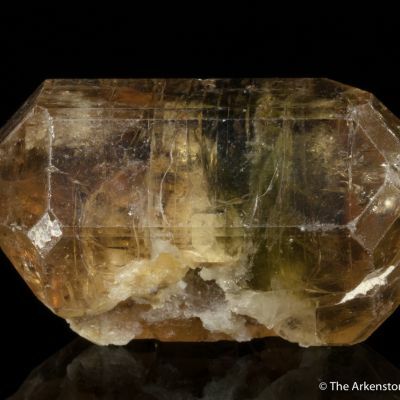 The crystals are glassy and gemmy throughout, and their brilliance enhances the golden color. 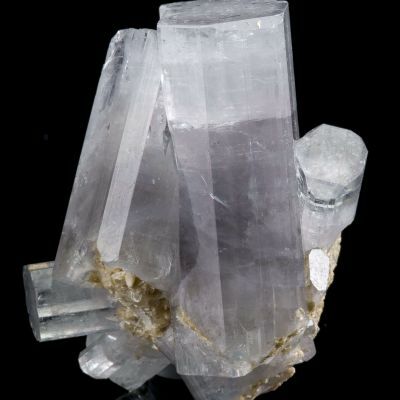 The cluster is actually fascinating in its structure. 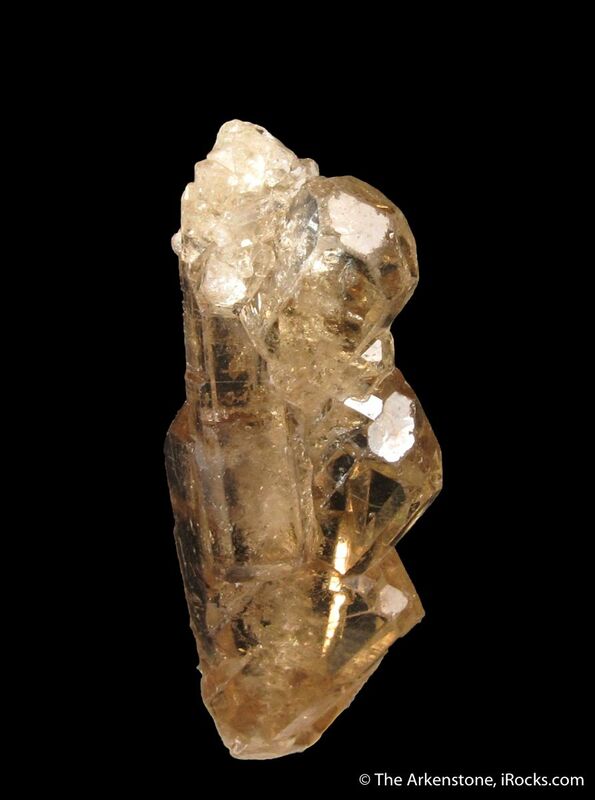 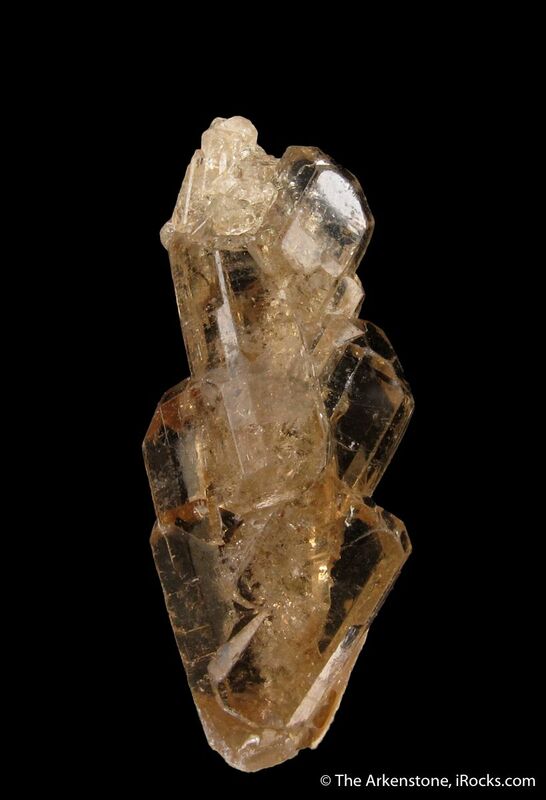 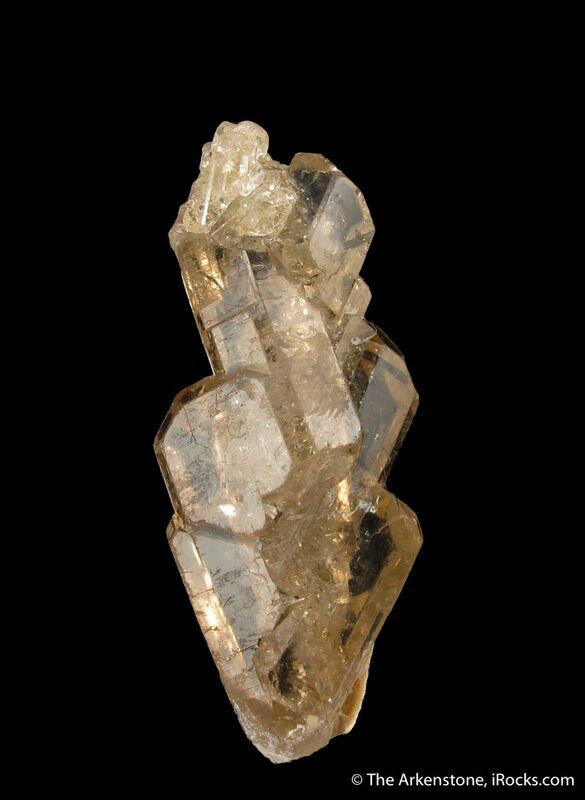 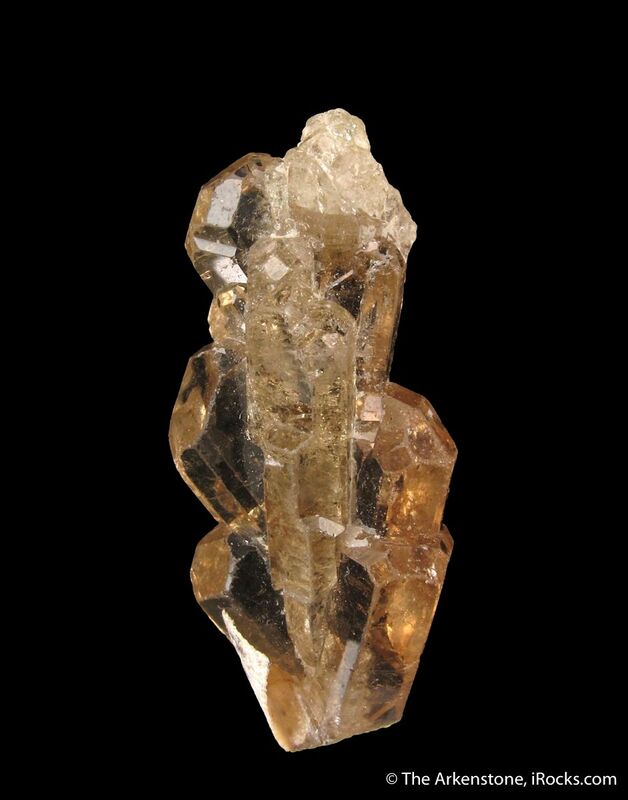 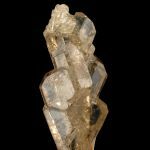 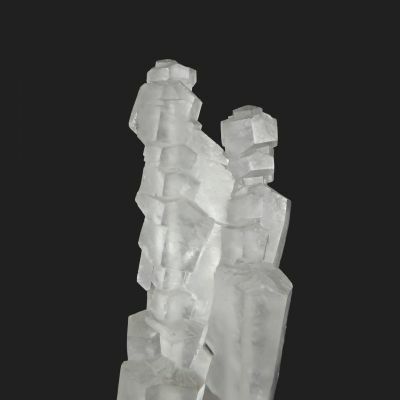 There is a central crystal, and from each side there are several en echelon, gemmy Fluorapatites that splay outward. 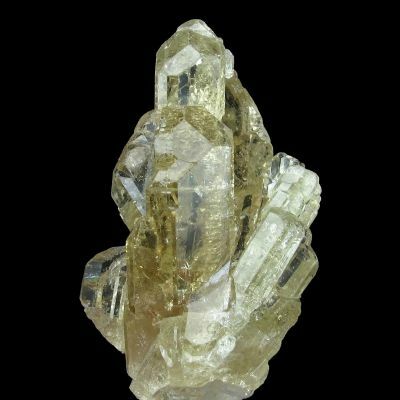 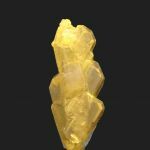 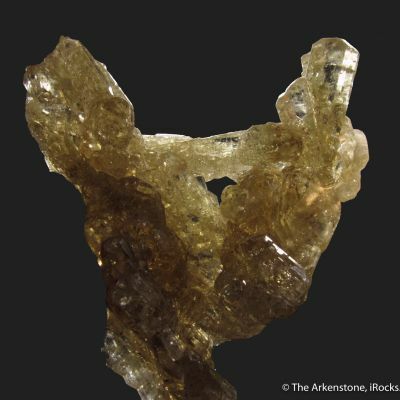 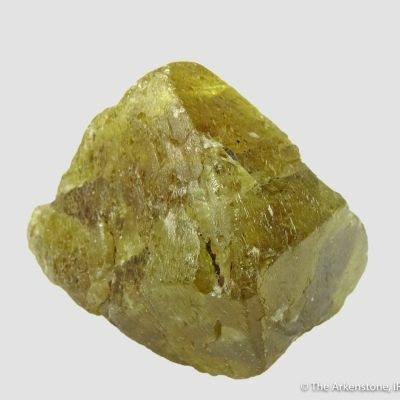 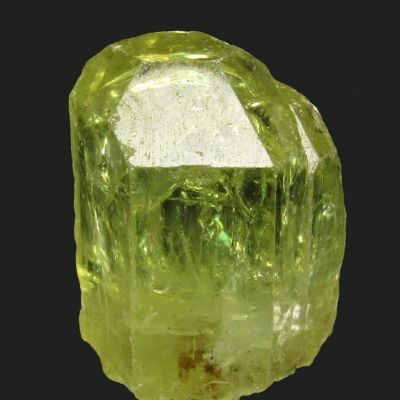 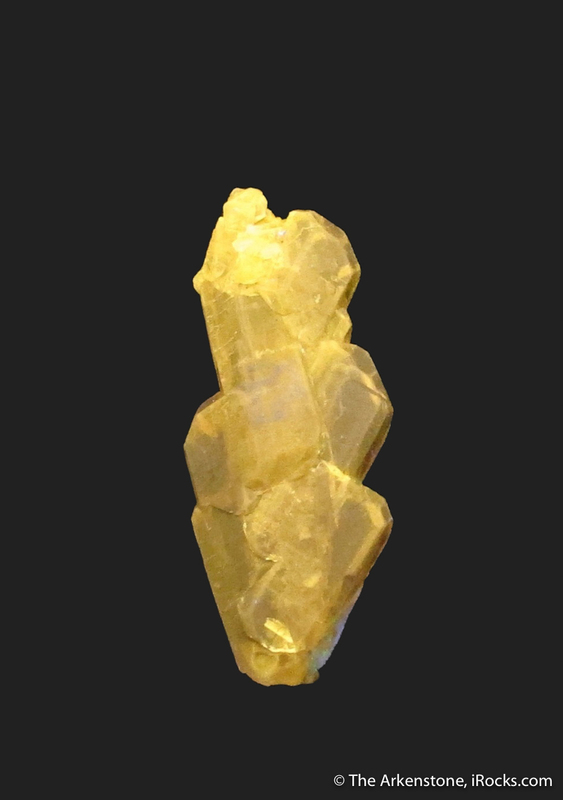 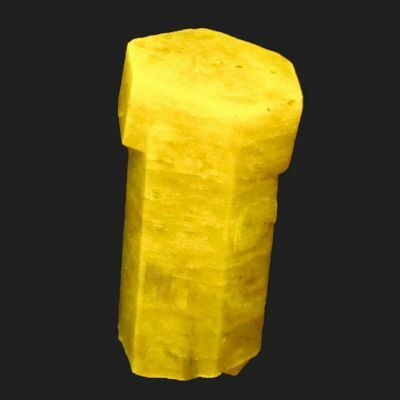 The crystals have a rich, lemon-yellow fluorescence. 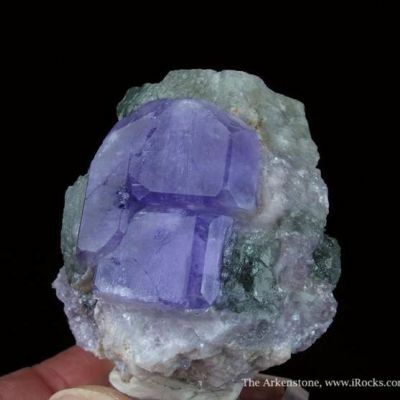 This is an unusual habit for Fluorapatite, and the aesthetics are excellent. 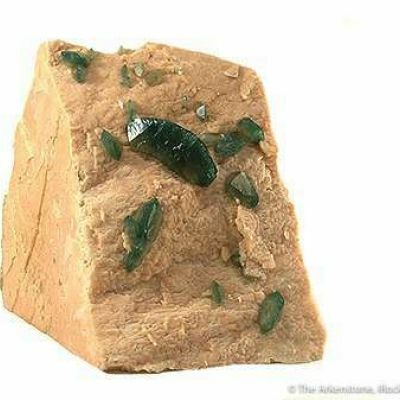 Acquired by Kay in 1987, this is from early production at Medina before the famous aqua pocket. 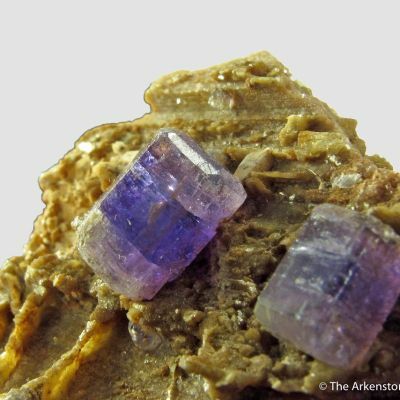 Better in person, these are literally gems, and hard to convey in photos. 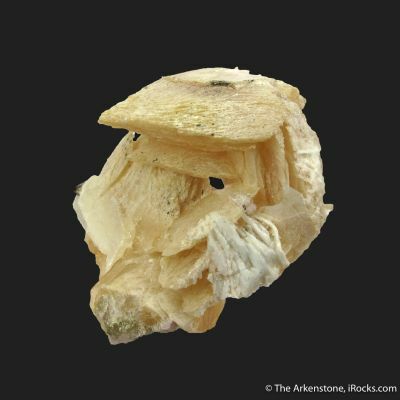 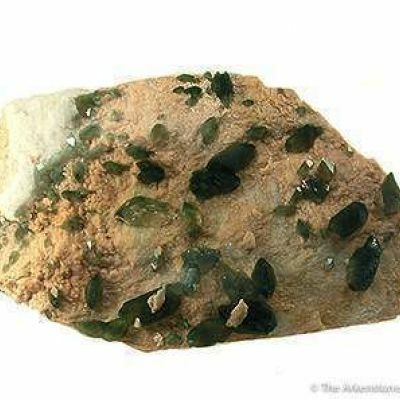 A famous apatite pocket, not equaled since!